Anne, Jesse and I had a very happy holiday last month up in Haverigg. The weather was fine, the area is lovely and we were able to relax. It was actually the longest complete break we’ve had since we were married. Usually, if we go away, I combine the holiday with preaching engagements. But on this occasion, it was a fortnight without any commitments. And we didn’t feel we had to push ourselves to do anything. When we’ve been away on holiday in the past, there’s been the temptation to feel that we have to seize the opportunity to see everything that’s on offer. 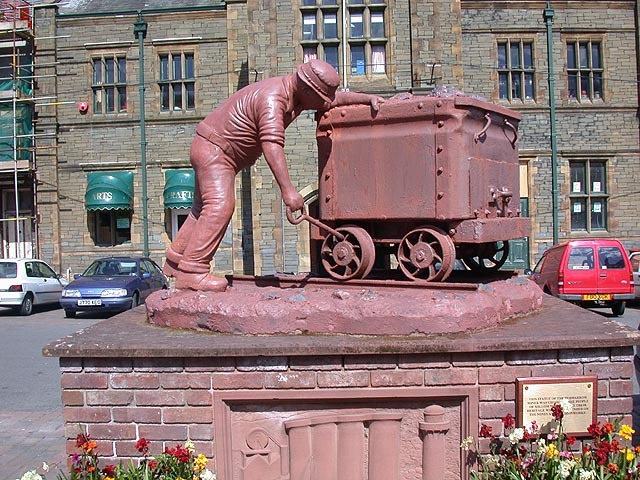 But we hope to go back to Haverigg many times. So we didn’t have to go everywhere and do everything this time round. One of the best things about the holiday was getting to know some of the believers and churches in the area. First there was the Ulverston church – a recently established reformed baptist church in a town thirty-five minutes drive from Haverigg. We travelled there each Sunday to attend morning and evening services. We knew something about that church already. Twelve years ago I met a man called Guy Smith who had begun a weekly Bible-study in his home in Ulverston. Guy had come across from the USA to work at the naval shipyards in Barrow. Expecting to find fellowship locally, he was dismayed by the lack of reformed churches in the area. So he started this meeting. In 1991, Guy and his wife Laura were introduced to ‘Free Grace Baptist Church’ in Lancaster – ten miles away from Ulverston as the crow flies, but forty miles by road. Along with others from their bible-study group, Guy and Laura began to travel to Lancaster for services and became members there; in due time, Guy was appointed as an elder. But they still ran the meeting in their home. Then in September 1992, the church in Lancaster agreed that the work in Ulverston should be considered as a church-planting situation. Henceforth, the church would be a split-site operation, holding services both in Lancaster and in Ulverston: two congregations with a single membership and a common eldership. So the believers from Ulverston found a more public meeting-place and began to meet for Sunday services in the ‘Coronation Hall’ while travelling to Lancaster for other meetings, including the Lord’s Supper. Strangely, not long after the church at Lancaster adopted the Ulverston work, Guy was recalled to the USA. But the work continued, with preachers travelling from Lancaster to take most of the services. Among the preachers who travelled regularly from Lancaster to Ulverston was Steve Wood. Steve had worked with the Open-Air Mission until ill-health forced him to resign. He found himself another job, and with his wife Pearl settled into membership at Lancaster. He became an elder at Lancaster in 1996, and shortly after was set aside to lead the work in Ulverston full-time. He moved there with his five children and began to give himself to Bible-teaching and evangelism in the town. Slowly the work has taken shape and matured. The time came when it seemed right for the group in Ulverston to hold their own communion services. Then each of the two congregations began to hold its own business meetings – though always with representatives from the other congregation present. In 2000, the fellowship acquired its own building – a stone-built hall on the edge of town, once an Anglican mission-hall, but used for many other purposes since. It’s being refurbished bit by bit. Steve is still the only elder but two of the men have been recognised as deacons. And last year our friends Jack & Alison Jenner moved up from Chesham, from the church where Mark Richards is now pastor (Chris Hadley and Andrew Gullett are members there too). Jack had been pastor at Chesham for twenty years, but decided to ‘retire’ at the age of 61 and use his remaining years to strengthen a small church elsewhere. Jack can contribute so much out of his long experience. (We had lunch with Jack and Alison on our second Sunday at the church). I was very glad to see the work at Ulverston first-hand. – especially because of our decision to become involved at Charlesworth. Of course, the two situations are very different. Ulverston has none of the long history of the Charlesworth chapel. But there’s still a lot to be learned from the way that the church at Lancaster helped to establish a work many miles away in Ulverston. The time has now come for the group at Ulverston to be recognised as an independent church. The second Sunday morning we were there, the church secretary was able to report on two members’ meetings that had been held in the past two weeks – one in Lancaster and one in Ulverston. 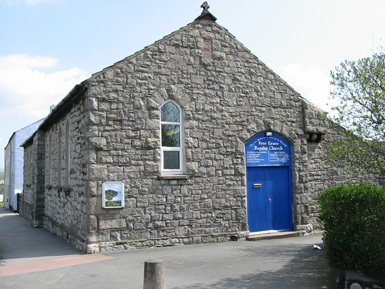 At those meetings it was agreed that the time had come for the believers at Ulverston to be released from the Lancaster membership and to covenant together as a church. In the kindness of God, there’s one more reformed church in a very barren part of the country. And it was our privilege to be there to share the joy of that happy congregation. We were glad to meet another church too – much nearer at hand. 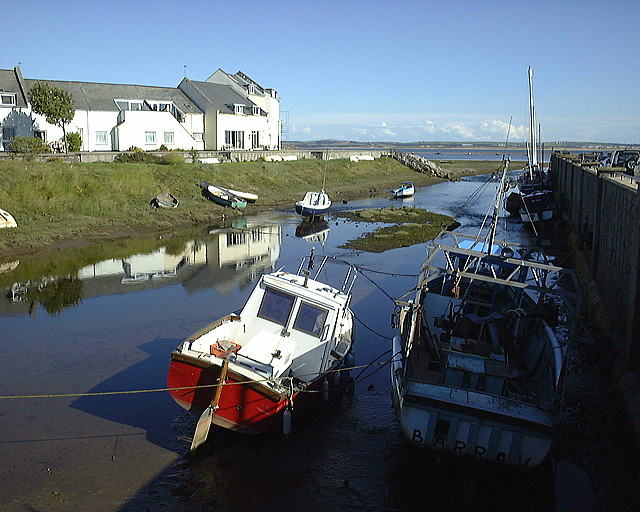 Haverigg is just a mile outside the town of Millom. On our two Sunday afternoons we went into Millom and joined the folk at Millom Evangelical Church. We didn’t really know what to expect. We had no reason to think that this was a reformed church – in fact, we knew that its origins were in the Open Brethren movement. The church meets in a refurbished terraced house – an old two up, two down, knocked into a single hall. And there were only about a dozen folk there – mostly elderly. But it was a delight to meet them. The leader of the work, Basil Deen, is a man in his mid-eighties. He expounded the opening verses of 1 Peter ch 2 on the first Sunday afternoon. It was very brief (the service is designated as a ‘family service’ and lasts only 45 minutes) but quite excellent – clear, attractive, practical preaching. It did me good. Curiously, it wasn’t the first time I had heard Mr Deen speak. I last heard him more than thirty years ago at a mission-hall here in Stockport. At that time he was a full-time evangelist and Bible-teacher, based in Manchester but taking tent-missions much further afield. From time to time he was asked to speak up in Cumbria. On one occasion he led a three week mission in Millom and saw a number of people converted. It was as a result of that mission that he moved up to Millom and began the church (I think he said it was in 1978). Mr D is still very active in gospel work. visiting schools to distribute Bibles and take assemblies; taking services in nursing-homes; preaching in Millom and further afield. Till quite recently, he was editing an evangelistic magazine. Over the years, millions of copies of that magazine have been distributed across the UK and indeed the world. We visited Mr Deen and his wife Phyllis in their home one afternoon. That was a great privilege. They’re both gracious, gentle folk with the wisdom that comes from long experience. We talked about their life in Manchester before they moved to Millom and found we knew many of the same people and churches. And we found we had much in common. They’re concerned as we are with the triviality and irreverence of so much in today’s ‘evangelical’ scene. They long to build a Bible-preaching, Christ-centred, Gospel-loving church. To see believers in their mid-eighties still pressing on, so active and zealous in the cause of Christ, was a wonderful encouragement and a rebuke to myself. We’ve had such Caleb figures in our congregation in the past – Walter & Lilian Heath, George & Muriel Lambert. We miss them and we pray that God will give us such examples again. Going away on holiday gives opportunities to get to know believers and churches we would never meet otherwise. That’s something we should look forward to. Paul wrote to the church at Rome (where he’d never been), “I long to see you, that I may impart to you some spiritual gift to strengthen you – or rather, that we may be mutually encouraged by each other’s faith..” We’re glad we’ve met two churches – very different but both walking in godliness and the fear of the Lord. They encouraged us. We hope we’ve encouraged them. Holidays aren’t just for lounging on the beach. Take the opportunity to meet Christians you wouldn’t meet at any other time. Aim to encourage them. Let them encourage you..